Pueblo Bonito Rosé Resort & Spa is perfectly situated on El Médano Beach in the heart of Cabo San Lucas. A tropical oasis dotted by palm trees, our family-friendly resort features an expansive free-form swimming pool and children’s pool, a full-service European-style Spa and Beauty Salon and a Fitness Center with AirBase aerobics floor. Our tennis courts are lit for night play and, throughout the day, guests can take advantage of a wide range of on-site activities, including Spanish classes, aqua aerobics, salsa dancing lessons, botanical and nature preserve tours, bingo, and bartending and cooking classes. 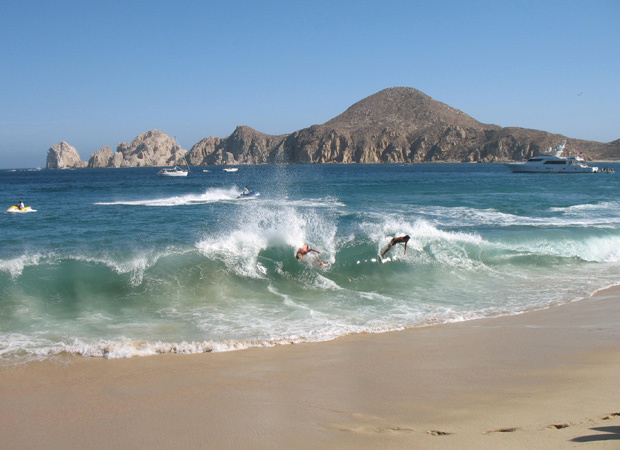 From El Médano beach to Lover's Beach at El Arco, Cabo’s local beaches pair beautiful scenery with fun things to do. Lover's Beach is accessible by water taxi from the marina and El Médano beach. Santa Maria Beach is tucked amid a quiet bay near San José del Cabo and is a wonderful departure from the bustling activity of Cabo San Lucas main beaches. Popular with snorkelers, the waters here are part of a protected marine sanctuary. 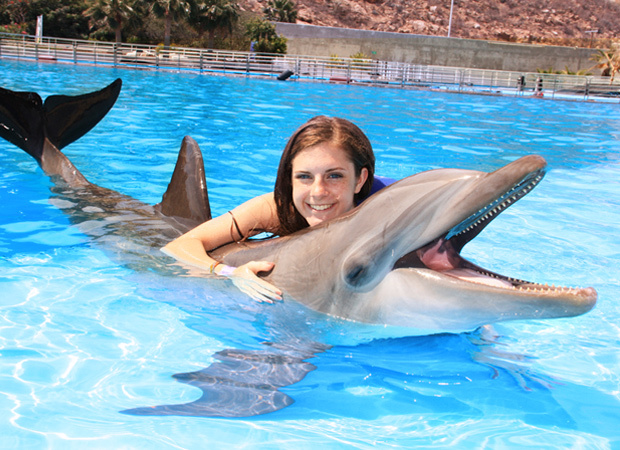 Fulfill your dream of swimming with dolphins in Cabo San Lucas at the premier Cabo Dolphins Marine Center. You'll learn about dolphin behavior, their habitat, how dolphins respond to training signals and many other interesting facts. The the ultimate experience, sign up as a hands-on “Trainer for a Day” program. Explore the beauty of Los Cabos with tours that offer in-depth access to your favorite activity or interest. Cabo San Lucas tours range from whale watching tours and eco tours, to ATV tours, city tour options and canopy tour adventures. Whale watching tours are available daily during the peak migration season, December through early spring. On a city tour, learn the history of Cabo San Lucas, sample regional foods and customs, meet locals, and explore cultural points of interest or choose an ATV tour for an off-road adventure through desert canyons and creek beds. The new Quivira Golf Course is the most recent design by legendary golfer and course architect Jack Nicklaus. Located next to Pueblo Bonito Pacifica Golf & Spa Resort, this magnificent course offers more oceanfront play than any other golf course in Cabo San Lucas. Book your stay now to be among the first to play on this beautiful and challenging course, open exclusively to Pueblo Bonito owners and guests. For more information, click here. Reel in the trophy catch of the day on a Cabo San Lucas fishing charter excursion. A premier sport fishing destination, Cabo San Lucas is known around the world as the Marlin Capital of the World. Fish for rado, marlin, swordfish, snapper and more. Deep sea fishing charters offer flexible tours ranging from half-day to multi-day charters. Whale watching tours are fun for all ages. 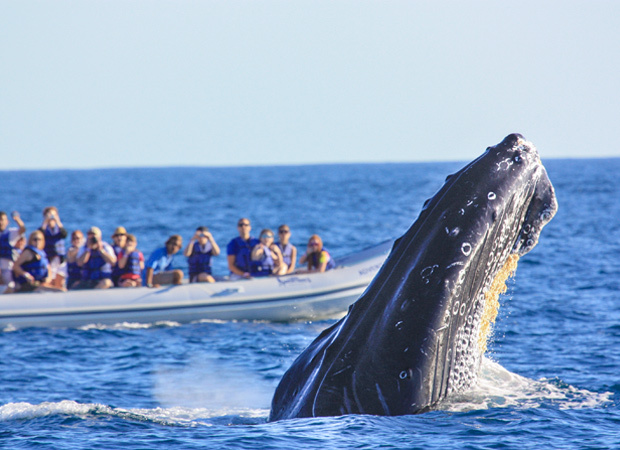 Dozens of Cabo San Lucas whale watching tour companies offer a variety of tour packages to fit your vacation schedule and budget. The prime season for whale watching tours is from December through March or April when gray whales migrate to the Sea of Cortez to calve. Enjoy the Cabo San Lucas scenery at a relaxed pace from the saddle of a horse. Cabo San Lucas is a favorite place to ride horses on the beach and is a fun thing to do for families. Horseback riding tours are readily offered throughout the Los Cabos corridor. Choose from relaxed family rides, romantic sunset tours or eco tours. Experience the legendary nightlife of Cabo San Lucas gathering spots such as Cabo Wabo, El Squid Roe, The Giggling Marlin, and dozens of beachside bars and clubs that stay open till the wee hours of the morning. Pueblo Bonito Rosé is located within walking distance from downtown Cabo San Lucas bars and restaurants. Experience the sights and sounds of Cabo San Lucas on a boat cruise tailored to your liking. Cabo San Lucas offers a fantastic variety of boat cruises for every time of day and occasion. Sunset dinner cruises, adventure sailing, family theme cruises, private yacht charters and sightseeing cruises are just a few options available. Cabo San Lucas is quickly earning a reputation as a premier shopping destination. Shop for luxury brands at upscale shopping centers such as Puerto Paraiso, or browse quaint shops and artisan stalls for one-of-a-kind mementos and fun souvenirs. Cabo San Lucas is the main shopping district of Los Cabos. 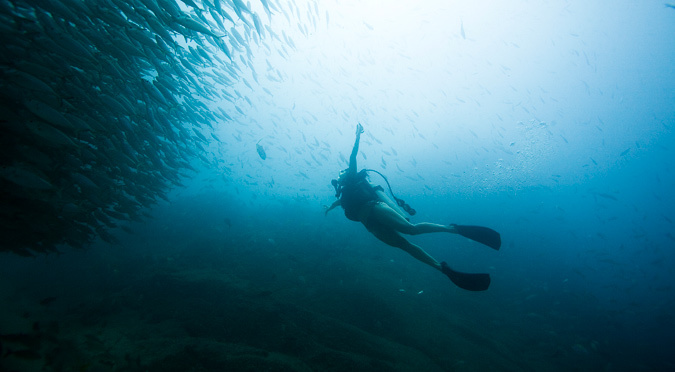 Discover the fun of snorkeling and scuba diving in Cabo San Lucas. The Sea of Cortez is home to fantastic bays teeming with marine life for snorkeling. Farther beneath the surface, scuba divers will find plenty of reefs, sea caves and shipwrecks to explore. Reputable Cabo San Lucas tour companies offer a variety of snorkeling and scuba diving tours, all tailored to group skill levels and interests. Todos Santos is a charming coastal town located about an hour north of Cabo San Lucas. Stroll the dirt roads of Todos Santos that are dotted with quaint shops, dozens of art galleries, bistro-style cafes, and the town square. Visit Todos Santos with an organized tour or plan your own visit. The highway to Todos Santos is well-traveled. Car rentals are available through Pueblo Bonito Rosé Resort & Spa.